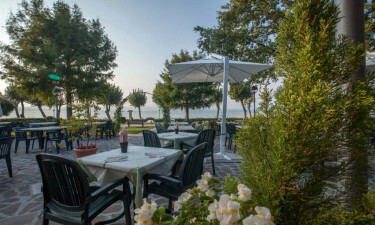 Set right on the edge of the picturesque Lake Garda, Garda Village is a leading camping site that offers activities and amenities for the whole family. Make sure you book through LuxCamp to secure you a place in the sun. 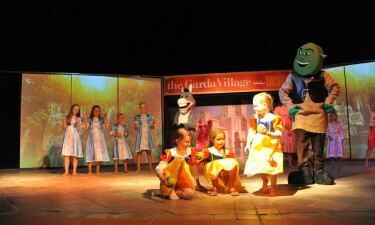 People of all ages are invited to join the daily sports events that are held at Garda Village. Guests who want to sample Italian cuisine are sure to love the beachside café, while the theatre café gives guests the chance to grab a bite to eat while enjoying evening performances. 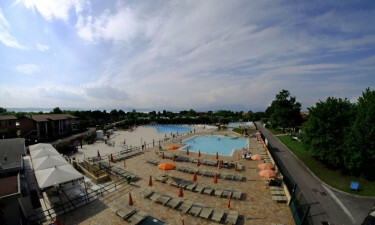 Why choose Camping Garda Village? The large outdoor swimming pool comes complete with a whirlpool for guests who want to unwind while enjoying their luxury camping break. Activities such as water polo and water aerobics are regularly organised in the main pool, while children can make waves in the separate wading pool. 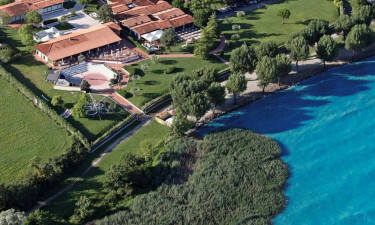 Guests are treated to private access to the strip of golden sand that lines Lake Garda. It is possible to stroll to this beautiful beach as well as the crystal clear waters that lap the shore in just a few minutes from a spacious mobile home, and this is the perfect place to soak up the sun.